The property is in a dominant position overlooking the village and his very old church and offers a large view at the Pyrénées. Ground floor : Hall with WC, Kitchen(15m²) living room with chimney(30m²) 4 bed rooms from 11m² to 14m²; utility and bath room. 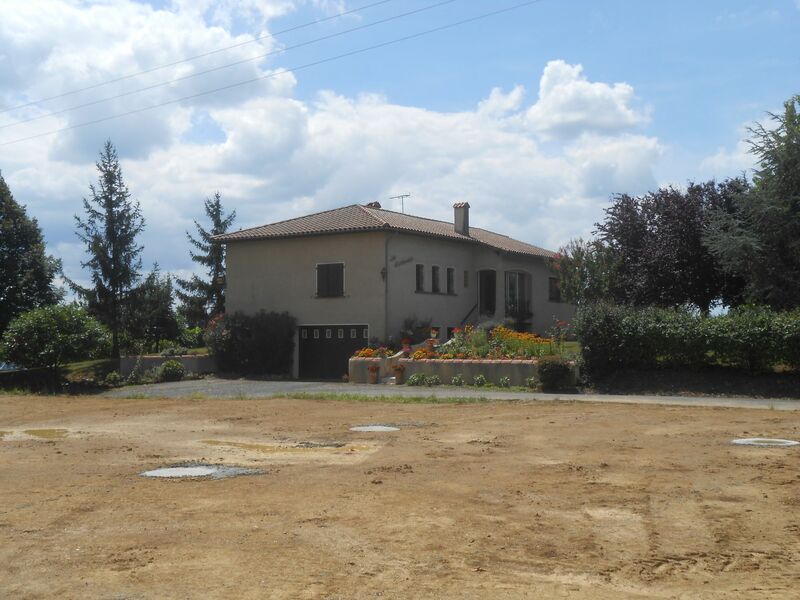 Basement of approx 140m² offering 3 rooms, utilty, boiler room and 60m² garage. Central heating on oil. Tout à l’égout. Beautiful garden(3011m²) with several fruit trees, vegetable garden and independant workshop(110m²).